At the Farnborough International Air Show 2018, an aggressive Boeing faces a new, untested leadership team at Airbus. For the Europeans, the recently acquired CSeries jet may be a star. For Boeing, its widebody jets will shine. Boeing will show up at next week’s Farnborough International Airshow outside London with more swagger than it has in the past, confident that its business has rarely been better. Rival Airbus, facing production woes and political turmoil in Europe, is certainly at a more fragile moment in its history. Yet its executive team won’t yield an inch at Farnborough. It will even introduce one of the likely stars of the show: the new 100- to 130-seat A220 — the renamed CSeries jet acquired this month from Bombardier of Canada. That plane underscores a new divergence in the strategies of the two rivals. For the past decade, Airbus and Boeing have split the global market roughly in half, with comparable airplanes competing head to head in each size category. 1. Can new Airbus sales chief Eric Schulz stage an order victory over Boeing, as his predecessor John Leahy regularly did at air shows? 2. Will the surge in the air-cargo market bring welcome orders for the freighter versions of Boeing’s 777 and 747 jets? 3. Will the Canadian CSeries jet, newly acquired by Airbus and renamed the A220, finally gain strong sales momentum? 4. Can the Airbus A330neo win enough orders to restore some confidence in the program? 5. Will orders for Boeing’s MAX 10 claw back some of the big lead established by the Airbus A321neo? Now, however, Airbus has developed a significant lead in the narrowbody-jet market, while Boeing hopes to solidify its recent advantage in the widebody-jet market. Furthermore, Boeing is boldly proposing to launch an all-new jet in an entirely new, in-between size and range category. Boeing’s bright hope is that this plane — it’s referred to as the New Midmarket Airplane or NMA, but many already call it the 797 — will come to dominate a new market of medium-range international routes, including travel across the north Atlantic and within Asia. 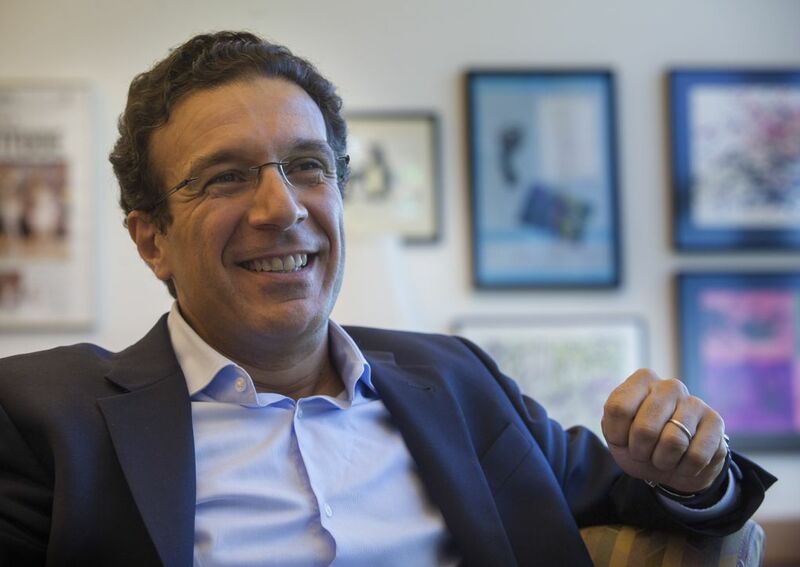 To clear the way for sales at the top end of this hitherto-untapped market, Boeing’s sharp-edged sales chief, Ihssane Mounir, seems bent this year on trying to kill Airbus’ newly revamped A330neo before it can gain any sales momentum. Airbus executives are adamant he won’t succeed. At Farnborough, which marks an unpredictable inflection point in this aerospace rivalry, Boeing’s newfound aggression will engage with a new untested leadership team at Airbus that’s making its first appearance at an air show. As aviation people from around the world gather in London this weekend, they’ll find British society in turmoil. Reflecting a country split politically down the middle over leaving the European Union, the U.K. government faces an existential crisis after several Tory (Conservative Party) Cabinet members resigned this week over Prime Minister Theresa May’s Brexit policy. Airbus CEO Tom Enders has said publicly in England that the hard border the dissident Cabinet members want — introducing border checks on people and goods — would be catastrophic for Airbus’ business. Airbus makes its wings in the U.K. and relies on frictionless trade with continental Europe to allow its manufacturing operation to run smoothly. On Monday, the air show formally opens for business with four days of commercial, business and military-aviation transactions, before the gates open to the public at the end of the week. The top airplane and aerospace suppliers in the world will tout their products and announce orders. Huge mazelike halls will be lined with exhibits of aviation hardware. The top companies will entertain customers in “chalets,” prefabricated buildings lined up overlooking the runways and decked out with interiors that can look lavish — thick white carpet, with orchid-laden side tables — despite their very temporary feel. And each afternoon, there will be a flying display of the latest aircraft. Britain’s Royal Air Force will fly over its newly delivered F-35 Joint Strike Fighter. Boeing will send up a 737 MAX and a 787 Dreamliner. Airbus will fly its A330neo and its large A350-1000. Embraer of Brazil, newly embraced by Boeing but with a deal still a long way off, will fly its E2 regional jet that competes with the A220. And Mitsubishi of Japan will showcase its still-in-flight-test MRJ regional jet, which has been practicing its flying routine at Moses Lake in Central Washington. Airbus arrives at Farnborough as its mechanics in Toulouse and Hamburg are still digging out from a buildup of unfinished airplanes caused by engine and cabin-interior supply problems. Brexit and the growth of nationalism across Europe have cast a pall of uncertainty over the business climate it operates in. And with Airbus Commercial’s CEO, CFO and sales chief all replaced this year, the top leadership team is new and unproven. Enders, overall CEO of the Airbus Group, is set to retire next spring. And yet, the strategic gap between Airbus and Boeing is most obvious today in the narrowbody, single-aisle market — where Airbus is winning hands down. Last year, Airbus widened its share of that market to 59 percent on the strength of its large A321neo jet, which has far outstripped its Boeing counterpart in sales. And at the small end of that airplane category, the introduction at Farnborough of the new A220 will make the Airbus narrowbody-jet advantage even more formidable. On Tuesday, after announcing the new name for the jet, Airbus revealed the first big order when JetBlue ordered 60 A320-300s. For good measure, the airline also converted 25 of its current A320neo order into orders for the larger A321neo. 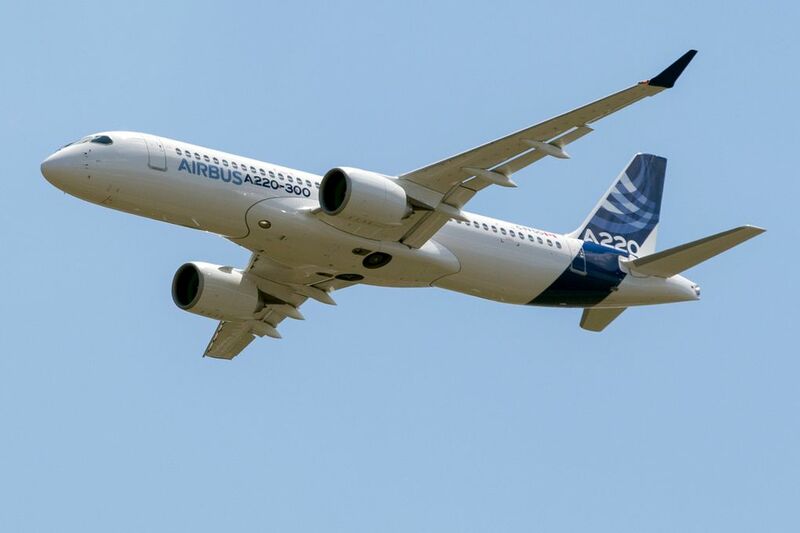 Expect more significant A220 orders at the air show. Moxy Airways, a new startup airline led by JetBlue founder David Neeleman, a Brazilian American who has previously bought only Embraer regional jets, is among those expected to announce an order for the airplane. 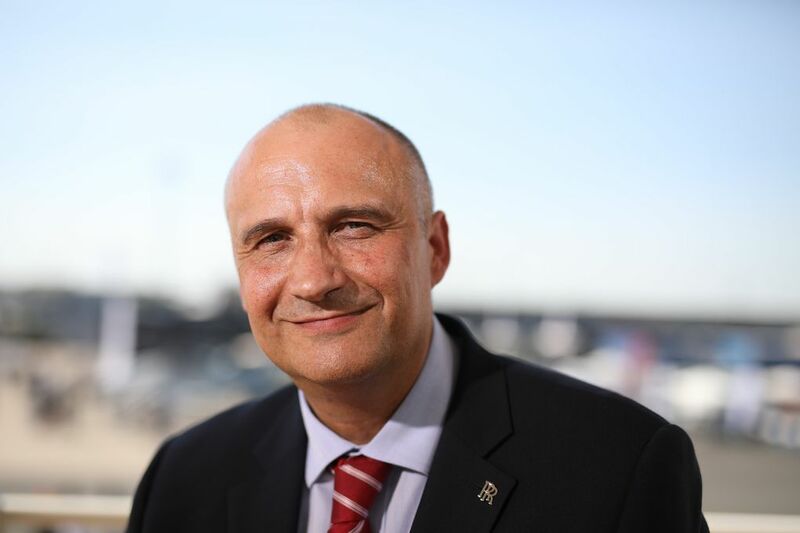 Jeff Knittel, the new chief executive of Airbus Americas, said in an interview that the CSeries/A220 acquisition also further strengthens Airbus’ position in the U.S., since it has committed to build another assembly line for the jet in Mobile, Alabama, and start assembling planes by mid-2020. Boeing will have no corresponding small jet available until it finalizes the agreement announced this month with Brazilian jet maker Embraer — late next year at best. The decision to announce that deal last week, so far ahead of finalizing it, seems to have been prompted by Boeing’s desire to have a response at Farnborough to the A220’s expected success at the show. Still, Farnborough comes at a moment of strength and confidence for Boeing. As the world’s air traffic continues to grow apace, jet sales are healthy. With a plentiful cash hoard, the U.S. jet maker is buying up companies in a confident push into aftermarket services. Its leadership is stable. The stock price has soared. And Boeing certainly has the upper hand in the widebody, twin-aisle market — the bigger, more profitable aircraft. Last year, Boeing sold three times as many as Airbus. As of June 30, Boeing this year had 460 firm orders, 141 of them for widebody jets. Airbus’ total was 206, including 50 widebody jets. In an interview, Mounir said he feels good about Boeing’s position going into his first Farnborough air show. He said he’s not worried about the A321neo’s sales lead because the competing 737 MAX 10 has only been on the market since it launched at last summer’s Paris Air Show. Driving Boeing’s strong widebody sales figures, he said, is both the robust rebound of the air-cargo market and a surge in sales of the 787 Dreamliner. Boeing’s freighter aircraft, such as the 777F, have a virtual monopoly in the air-cargo market and are expected to be big sellers at Farnborough. 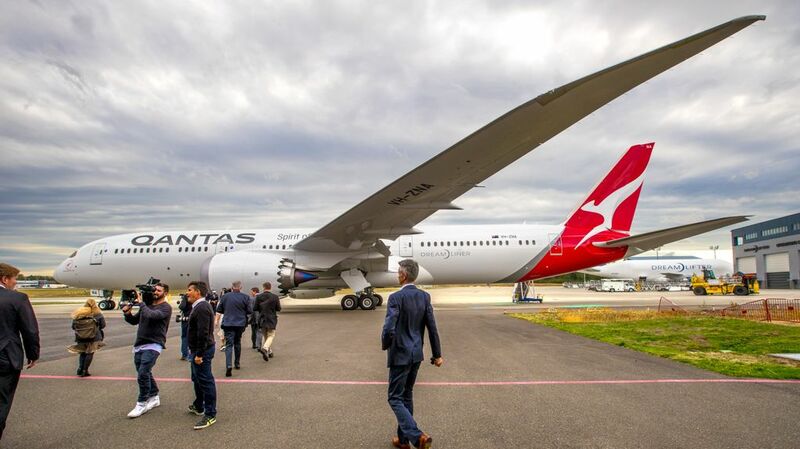 And observers at the air show will watch closely to see if the 787 can continue to take sales away from Airbus’ latest plane, the A330neo, which had its first flight in the fall and is to enter service later this year. 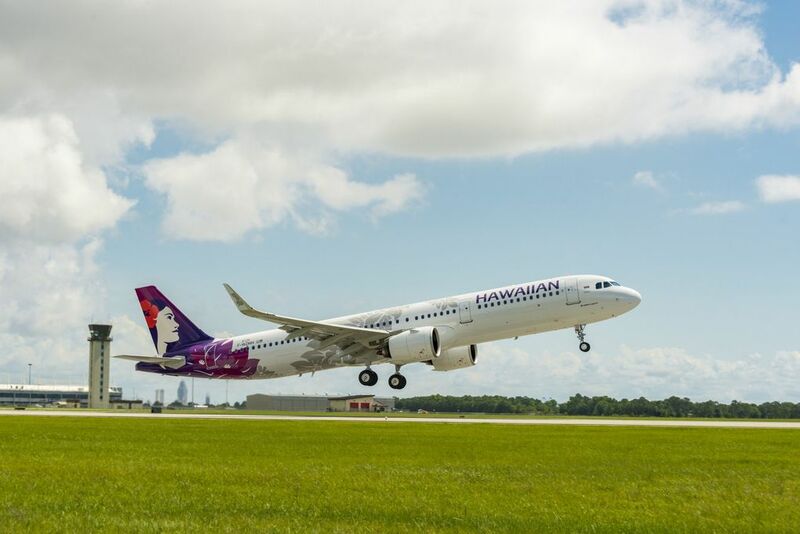 In March, Boeing persuaded Hawaiian Airlines to ditch an A330neo order and switch to the 787. In April, American Airlines placed an order for 47 Dreamliners after deciding against the A330neo. Just ahead of Farnborough, another worrying sign for Airbus came when AirAsia CEO Tony Fernandes left Toulouse unsatisfied after talks with new Airbus sales chief Eric Schulz to finalize and potentially extend a previously announced order for 66 A330neos. “I have to believe Eric Schulz will do everything he can to win that order,” he said. Mounir said the Airbus handicap is that the A330neo is essentially a one-airplane family, while the 787 comes in three sizes. An airline can buy the smallest and easily move up in size as its markets grow. Airbus’ Knittel insisted that the A330neo sales will pick up when operators of the original A330, with more than 1,200 airplanes in service, need to replace those aircraft. This fierce sales struggle over the A330neo suggests one of the stress points where the strategies of Airbus and Boeing are diverging: Boeing’s proposed new NMA, expected to launch next year. Though no new NMA details are expected to be released at Farnborough, its influence will be felt. The concept is of a two-airplane family. Each jet will have two aisles, like a widebody jet, making it fast to board and deboard. But it will be smaller and only medium range, carrying 220 to 270 seats and flying about 5,000 nautical miles. The 206-seater Airbus A321neo, which has a range of 4,000 nautical miles, sits just below this proposed market. And the A330neo fits above it, carrying 287 passengers with a range of 6,550 nautical miles. Knittel said the Airbus strategy is to serve most of that “middle of the market” with these two existing planes, only stretching and improving the A321neo where needed. As Boeing moves to determine if there is enough of a market to justify the roughly $10 billion it’ll take to develop the new jet, one clear tactic has emerged: The A330neo has a slim tally of just 224 firm orders and Boeing is trying to crush it at birth by pricing the rival 787 aggressively. Aboulafia said the proposed NMA is “a leap of faith.” Should it work, it would fragment international route networks and could lead to sales of 2,000 to 3,000 planes. “If Boeing couples the NMA with a concerted effort to kill the A330neo, they could own that market,” Aboulafia said. On the other hand, he said, “The only issue is, at the top end of that market, the A330neo might survive, and at the bottom end, the A321neo could become the A322neo,” meaning a larger, improved version of that popular single-aisle Airbus jet. Aboulafia points to the advanced wing-manufacturing technology Airbus just acquired from Bombardier: The carbon composite wings are built in Belfast, Northern Ireland, using a new process called Resin Transfer Infusion. Imagine, he said, a potential A322neo, a stretch of the A321neo with new engines and an A220 wing. “That would be a killer,” Aboulafia said. No one knows how this strategic game of duopoly will play out in the years ahead. At Farnborough, industry analysts will track sales wins for the key aircraft as well as any new hints of Boeing’s commitment to launch the NMA, looking for clues as to how the fortunes of Airbus and Boeing may shift.